The Rangers defeated the Boston Bruins, 4-3, today at Madison Square Garden for their fourth win in five games, and are now 13-3-3 in their last 19 games. The Rangers defeated the New Jersey Devils, 2-0, tonight at Madison Square Garden for their 40th win of the season, and are now 11-3-2 in their last 16 games. New York improved to 40-15-6 (86 pts) on the season, including a 21-7-2 mark at home. Sunday, Feb. 19, 8:00 p.m. 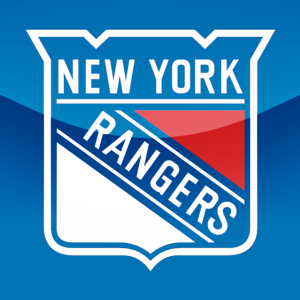 The Rangers will face-off against the Columbus Blue Jackets at Madison Square Garden (8:00 p.m.; TV: MSG Network; Radio: 1050 ESPN Radio). The Blueshirts currently sit atop the Eastern Conference standings, and rank second in the league overall, with a record of 37-14-5 (79 pts). The Rangers enter the contest having been defeated by the Chicago Blackhawks, 4-2, on Thursday at Madison Square Garden to snap their four-game winning streak, and are now 8-2-1 in their last 11 games. The Blueshirts are 20-6-1 in their last 27 contests, dating back to Dec. 17, and have registered at least one point in 37 of their last 48 games since Oct. 29 (34-11-3) after beginning the season with a 3-3-2 mark. The Blue Jackets enter the contest with a 17-35-6 (40 pts) record to rank 15th in the Western Conference, and have lost three of their last five games. Following the contest, the Rangers will face-off against the Pittsburgh Penguins on Tuesday, Feb. 21, at CONSOL Energy Center (7:00 p.m.), in an Atlantic Division match-up. In support of USA Hockey’s annual “Hockey Weekend Across America,” this year, the New York Rangers have teamed up with the city of New York to declare the first ever “Hockey Weekend in New York,” highlighted by a series of special events and complimentary hockey programs throughout the weekend.